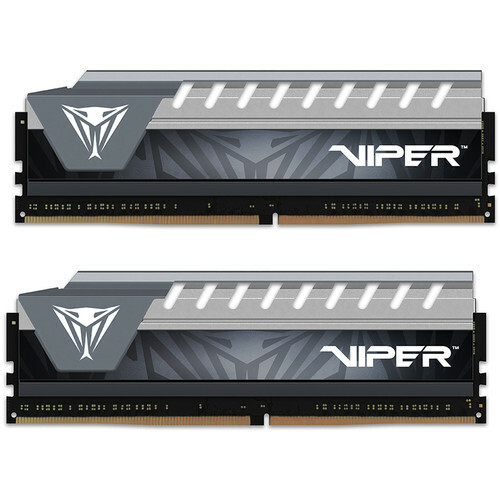 Designed with true performance in mind and utilizing a custom-designed heatshield for improved heat dissipation, the gray 8GB Viper Elite DDR4 2133 MHz UDIMM Memory Kit from Patriot provides stability for demanding computer environments and taxing applications. The kit has been optimized for Intel 100 Series platforms and features a capacity of 8GB, which comes in a configuration of 2 x 4GB. 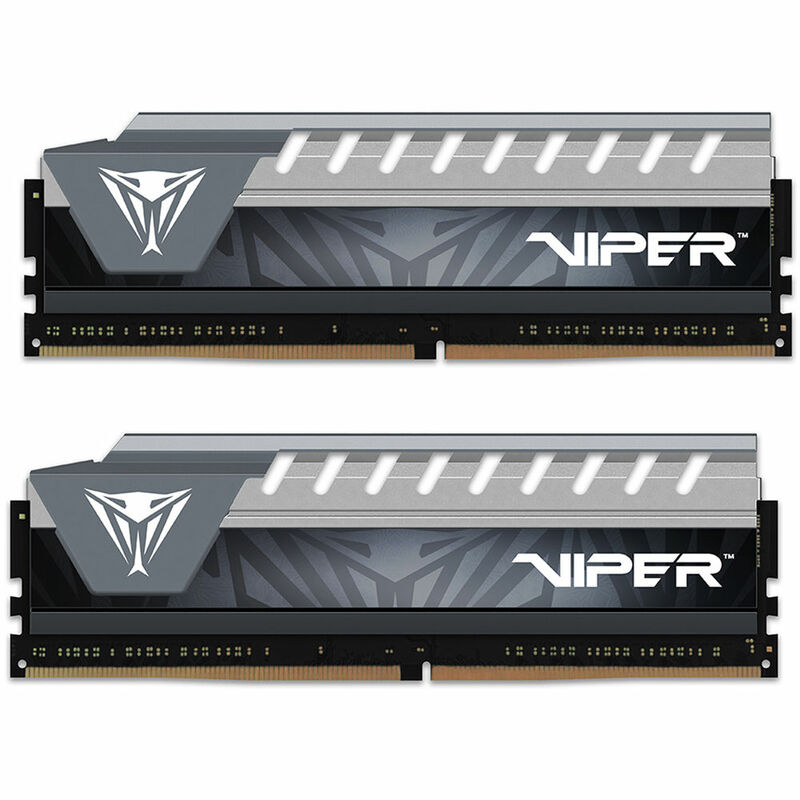 It delivers clock speeds of up to 2133 MHz (PC4-17000) and latency timings of 14-14-14-32, operates using 1.2V, has a 288-pin UDIMM form factor, and does not support ECC technology. Adding more memory to your system will help boost its capabilities, including improving system performance and application responsiveness. Start-up times will be improved with fewer delays during routine operations, and more programs will be able to run simultaneously with easier switching between them. This memory kit is protected by a limited lifetime warranty. Box Dimensions (LxWxH) 7.1 x 4.85 x 0.6"